Team : James Aitken, Dino Barbarese, Annie Boisvert, Jean-François Côté, Lucie Delisle, Robert Dionne, David Griffin, Richard Létourneau, Yvan Marion, Steve Proulx, Mario Saia, David Smythe, Eric Stein, Yvon Théoret, Vladimir Topouzanov, Michel Vinois The inhabitants of Montreal’s “Little Burgundy” quarter live mostly in new condominiums or apartment buildings near rue Notre-Dame. These buildings neighbour older buildings of similar scale, employing brick and stone of varying colours. 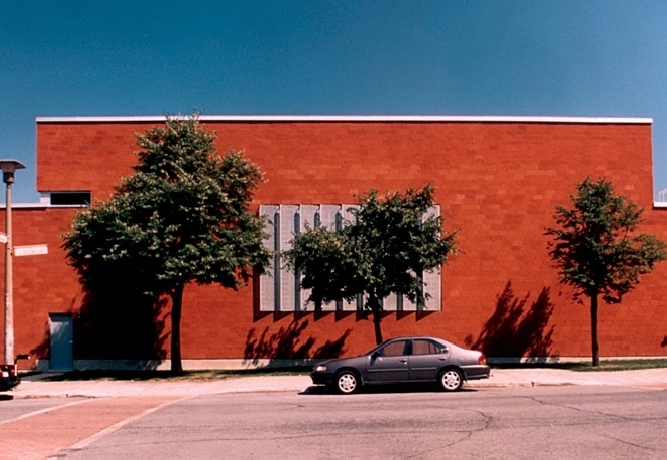 The street profile of the urban ensemble is physically irregular. This ensemble nevertheless follows an orthogonal grid, where today a new focal point is emerging. 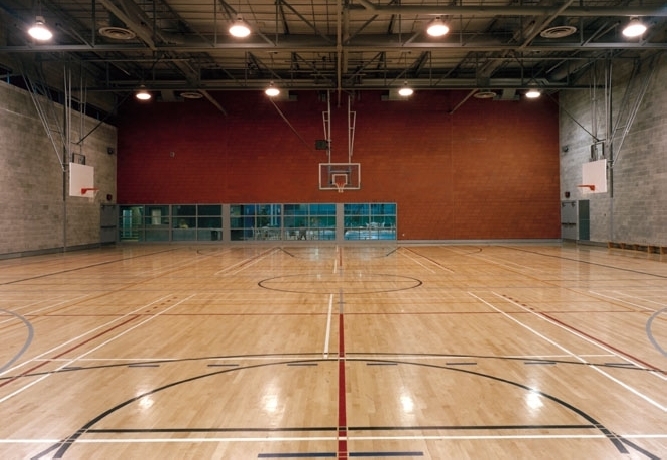 The new sports center derives inspiration from this setting, while making its own distinctive mark. Two powerful monoliths adapt to the dimensions, colours and textures of the context. 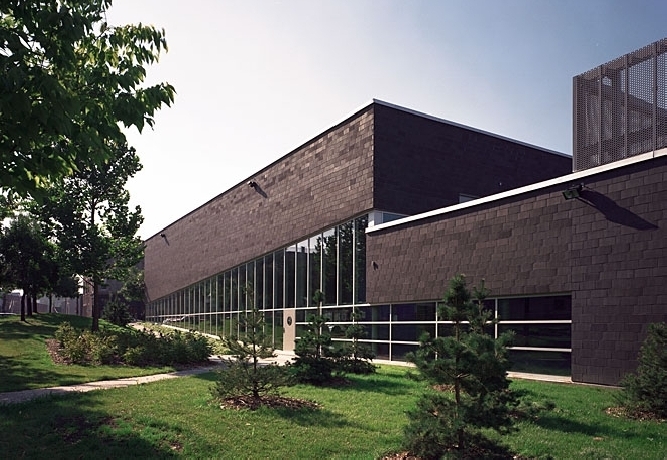 However, the use of over scaled brick which is closer in format to stone, coloured mortar joints, the dyamic composition of fenestration, and the extensive use of galvanized steel, express this building’s contemporaneity. 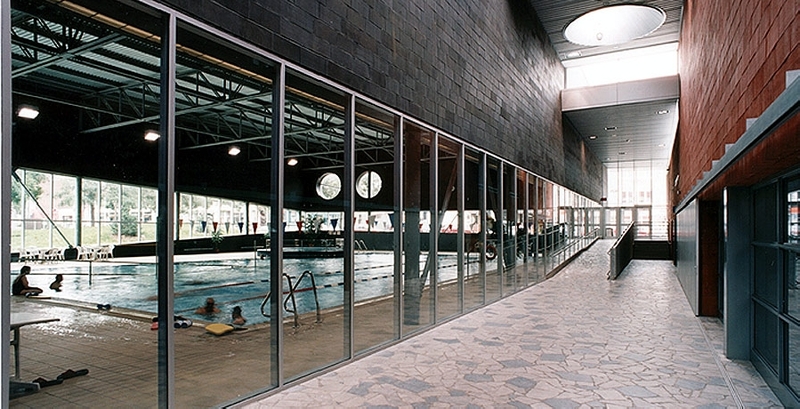 The first volume of red bricks and the second of anthracite coloured brick, respectively become the symbols of earth for the gymnasium and water for the swimming pool. These volumes face each other along an interior circulation route, further conceived of as a hall/street. This route of “crazy paving” stones reasserts the trace of a long disappeared street, and becomes a pedestrian path along the length of the Little Burgundy School, until rue Notre-Dame. An entrance opens at each extremity of this path. Abundant and changing light enters this space at all hours of the day via variously oriented light funnels in the roof. 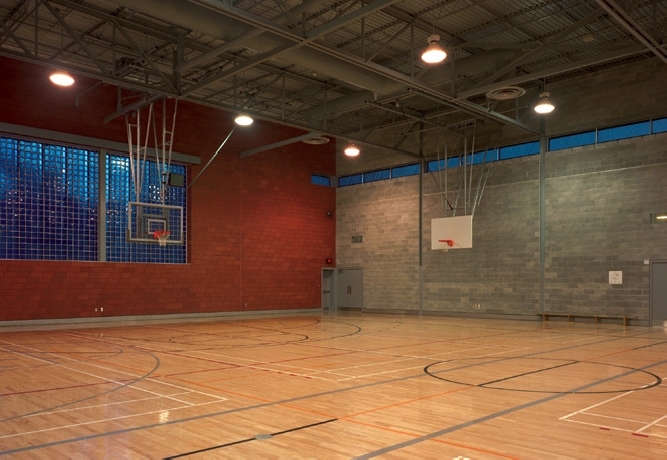 In the gymnasium, daylight is filtered by blue glass blocks partly covered by external perforated galvanized screens. 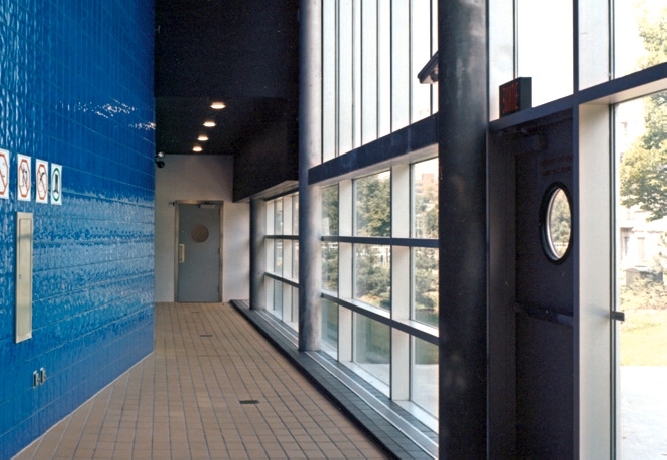 In the swimming pool, the same colour hue is created with a wall of blue ceramic tiles, while a large sculptural cut-out of fenestration directs views towards the park and towards downtown Montréal. 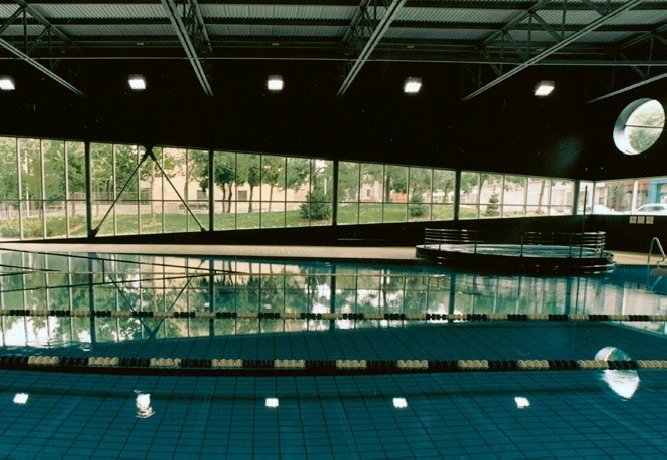 The simplicity and efficiency of the ensemble is organized by the principal idea that the swimming pool and the gymnasium are differentiated and symmetrical with respect to the central spine. The building’s users immediately understand the role of this architecture, grasp its clarity and experience it with ease.